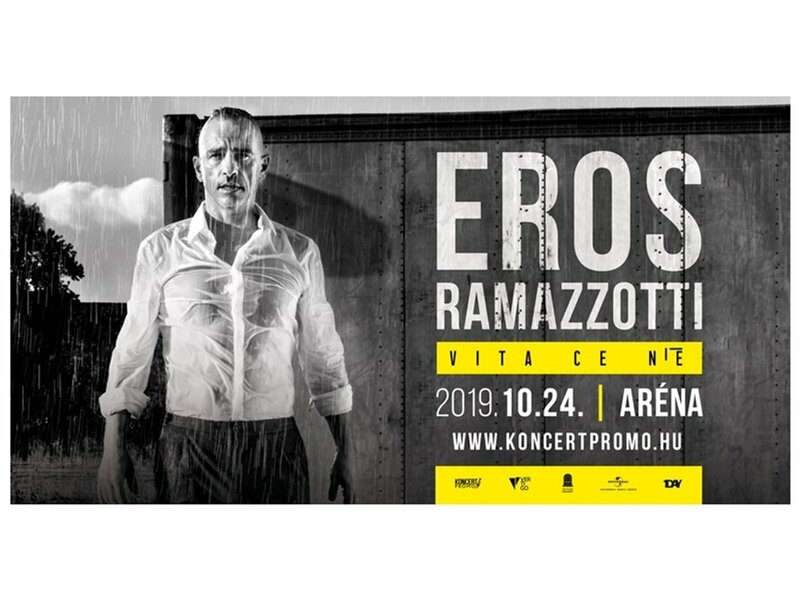 Eros Ramazzotti World Concert Tour – „Vita Ce N’è” Tour – Budapest – 2019. The Hungarian audience who have heard and enjoyed his emotional expressing songs at his previous concert will surely be at his 4th concert in Budapest at 8 p.m. on October, 24. 2019. at the Papp László Arena. But before arriving to Budapest Ramazzotti will be having many concerts at major cities in Europe before heading overseas to 5 continents. Over the decades Eros Ramazzotti is still popular in Italy and most European countries. Since 1984, Ramazzotti has released 12 studio albums, 4 live albums and 37 singles. Eros Ramazzotti is one of the most internationally renowned Italian singers and songwriters of all time. He is returninng on the stage, on a concert tours over 5 continents. Staring in Europe from February and coming to Budapest this year on October, 24. Sold over 60 million records in his 30 years of career. Has preformed duets within many prestigious artists such as: Tina Turner, Andrea Bocelli, Joe Cocker, Luciano Pavarotti, Cher, Laura Pausini and Ricky Martin. The new Vita ce n’è World Tour promotes and introduces the eponymous recently issued album, a triumph of sweet though energetic songs that celebrate the beauty of life. In co-operation with Italian Facebook, Eros Ramazzotti has become the first artist in Italy who announced his new album and tour using debuting video premier tool. His latest album „Vita Ce N’è” was released last year in November and Ramazzotti choose naming his concert tour with the same title.